A 44-year-old woman was sentenced Feb. 2 to 16 years to life in state prison for fatally stabbing her mother at a senior living facility, the Los Angeles County District Attorney’s Office announced. 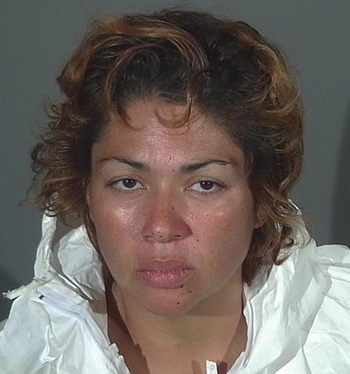 At her court appearance Thursday, Athina Sumi Rivera of Los Angeles pleaded guilty to one count of second-degree murder in case KA110622. The defendant also admitted a special allegation that she personally used a deadly and dangerous weapon, a knife, during the commission of the crime. Deputy District Attorney Lauren Guber, who prosecuted the case, said at the time of the crime Rivera was staying in her mother’s room at a senior living center in Covina. On Sept. 7, 2015, Rivera woke up in the middle of the night and stabbed her mother, Margaret Yamaguchi, several times, the prosecutor said. During the attack, an emergency call was made from the room. When the facility staff entered the room, they discovered Yamaguchi bleeding heavily. Authorities were called and the 61-year-old victim was pronounced dead at the scene. Rivera was subsequently arrested in connection with the fatal stabbing. The case was investigated by the Covina Police Department.